Though the Championship may be called The IMC Snowflake Showdown, winter felt a world away as the sun shone on a dry and bright Kirkistown Motor Racing Circuit for Round 1 of the Inaugural IMC Winter Championship. Hopes were high for a fantastic day of competition and we were not left disappointed. The addition of new members and a renewed hunger for success made for a spectacle of nail biting races in every class from the first change of lights to the final drop of the chequered flag. With the weather very much on side and the extra hour kip due to the official end of BST (British Summer Time) 2018, the BMW Autoparts Junior Gearbox competitors were fast of the mark and provided some of the most thrilling racing of the event. The youth demonstrated yet again their developing race craft and soaring confidence in 3 highly competitive races with battles being fought throughout the field of future stars. In the BMW Autoparts Junior Gearbox 140cc Class it was Magherafelts Jack Ferris and Cookstowns Matt ‘Missile’ McCord who were the front runners in each of the 3 Races. As the chequered flag dropped in Race 1 it was Ferris who was first home will The Missile just 0.8 secs behind. The Duel continued in Race 2 and Race 3 with Ferris again crossing the line first but with an even slighter margin of just 0.4 secs. McCord never losing hope of success demonstrated great determination and even greater sportsmanship in being the first to congratulate his fellow competitors. Ruben Sherman-Boyd, on board his MiniGP 50cc Conti finished 3rd. The excitement brought to spectators by the on track duel was not restricted to the 140cc Class – as the BMW Autoparts Junior Gearbox 125cc Class produced some of its own. Ballymoneys Isaac Mark and Newcomer Robert Ronan fought tooth and nail in Race 3 with passes any seasoned racer would be proud of being performed by both boys, drawing breath from those fortunate enough to witness and coming down to the wire with Ronan just pipping Mark to 3rd by 0.3 secs. Ronan secured 3rd in Race 1 and a well deserved 2nd in Race 2 securing his 1st Podium of the season and 3rd Overall. Another Newcomer, Kai McClintock, showed his promise securing 2nd Overall. Rhys Coates claimed 3 race wins securing his spot at the top of the Championship Table. One competitor who stood out on the day was Bailey ‘Bomber’ Dobson, the recipient of the GC M&E Star of the Inaugural Championship Award. Bomber set lap times that would see him with the front runners and we are certain it won’t be long before he bags himself a place on the podium. Jay Coates, on board his Ernie Coates Motorcycles 110cc Machine, brought up the rear and what he lacks in cc he surely makes up for in grit – another youngster that keeps chipping away! 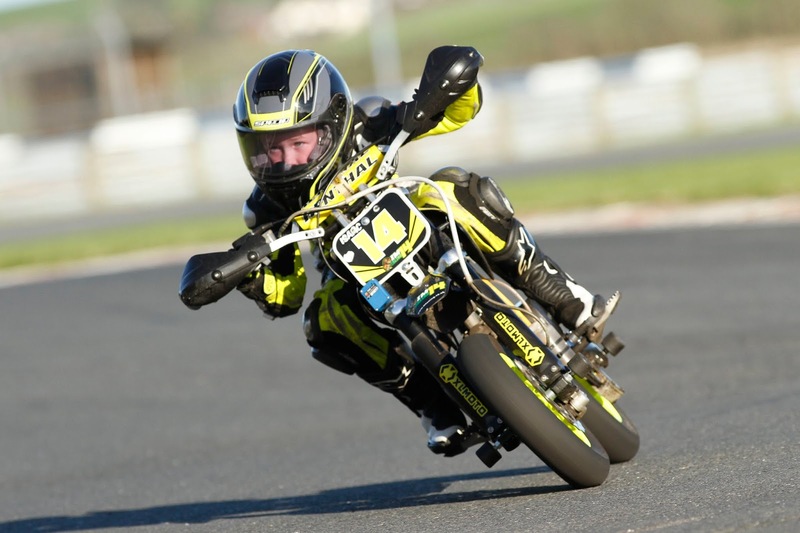 It seems most apt that Misano Moto has become the Title Sponsor of the MiniGP Class, as it appears that it is fast becoming Ireland’s version of ‘The Kayo Cup’. Exciting to see the grids grow with the 150cc machines and they surely look like a fun ride. It was class Newcomer Rossi Dobson who made it look effortless as he secured top marks in all 3 races. IMC Youth Ambassador Jonny Campbell, on board the Misano Moto machine, and riding the wheels of it, secured an impressive 2nd in Race 1 having started from the back of the grid. Campbell made his way through the pack and chased down Dobson but just didn’t have enough in the tank to take the win. Campbell would have to settle for 3rd behind Ajay Carey, in Race 2 and 3. Rhys Coates made an impressive entrance to the class bagging himself 4th Overall following consecutive 4th place finishes in the 3 races. Ritchie Butler finished 5th and earned himself the ‘Best Turned Out Outfit’ kindly Sponsored by Detail NI. David Sherman was missing from the grid in Race 3 following a slip in the VETS Class and finished 6th Overall. 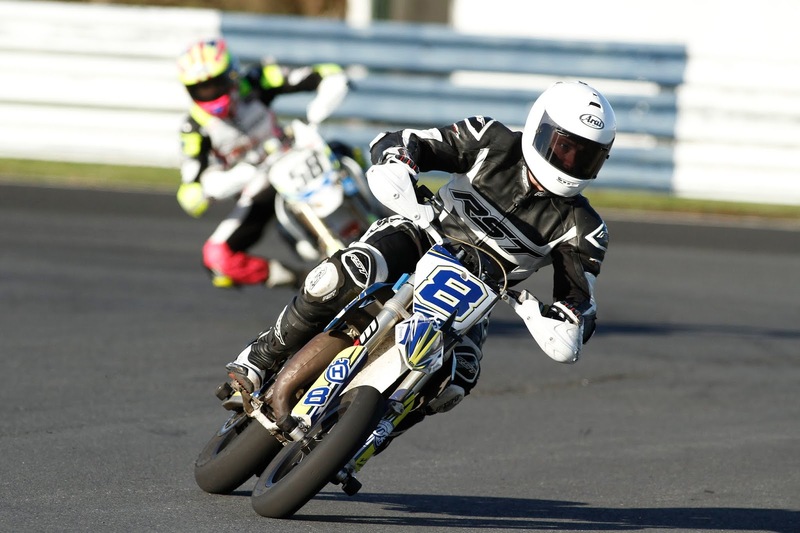 The Temple Tree Services Junior Pro Class saw Buster Sherman-Boyd take the overall win from older brother Ruben following a mechanical failure in race 3. The AJM Car Sales Senior Open Class proved to be as exciting as had been anticipated. 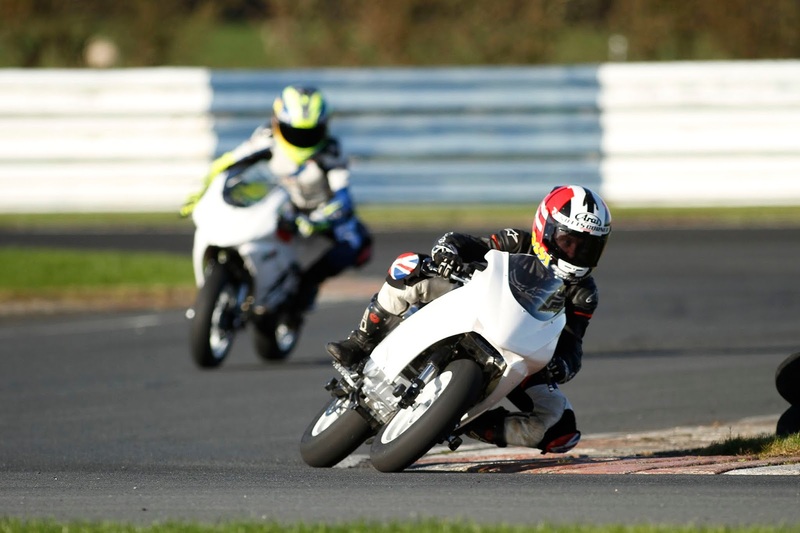 With a steadily growing grid of seasoned competitors including Kenny Robinson, British Talent Cup Competitor Jonny Campbell and IMC Inaugural Open Championship victor Jordan McCord the pace was fast and furious from start to finish. Jonny Campbell put in 3 impressive stints and set the fastest lap of the day on board the Bertie Boyd – Village Carpets Racing KTM 85cc securing the win in both Race 1 and Race 3, followed closely by Robinson and McCord. Race 2 would see Robinson and Campbell exchange positions with Robinson taking the flag, Campbell in 2nd and McCord again taking the remaining podium position. Campbell took the overall but Kenny impressed with a major step up in performance earning himself The GC M&E ‘Star of the Round’ award which entitles him to a free entry to Round 2. Another young man stepping up into the Open Class and making his presence known was Magherafelts Gary Scott (14yrs) finishing 6th Overall on board his CRF150. Even with a reduced grid, the SB Pitbikes Stock VETS Class brought its own excitement with each of the competitors either separating from the track, their machine, or both! Malcolm Robinson was a man on a mission taking the chequered flag in all 3 races. Whilst David Sherman, on board his FB Motors Stock 140cc machine, took 2nd ahead on Graham Ronan in Race 1 he would have to settle for 3rd in the remaining races. 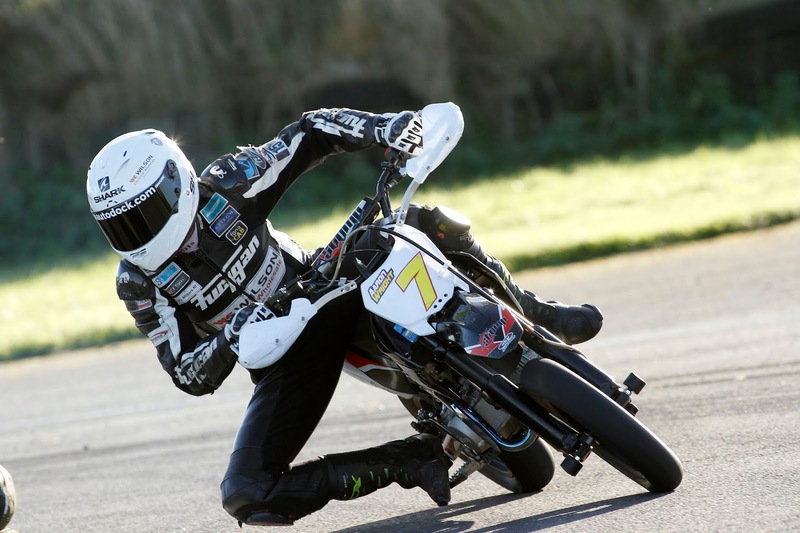 The Ernie Coates Motorcycles Sponsored Stock 140cc Class welcomed an entry from BSB Rider Aaron Wright who came out on top following a win on both Race 1 and 2 and a 3rd in Race 3. Kenny Robinson again demonstrated his wealth of experience. Despite a racing incident in Race 1 Kenny took the 2nd spot in Race 2, setting the fastest lap of the day in the Stock Class and improved yet again in Race 3 to take the race win and 2nd Overall. Mikolaj Vaz showed promise with 2 2nd place finishes but a DNF in Race 2 resulted in a slide down the points table and an overtake by Class Newcomer Christopher Stirling who took the runner up spot. The Discount Beds Stock 140cc Group 2 Class grid was made up of both familiar and new faces, including Skerries competitors Ross Sheridan, Eoin McMahon and Thomas Hogan. It seemed that during practice Ross’s day would be cut short following mechanical failure of his recently purchased machine. Ross was kindly offered the loan of a machine and his long journey was not in vain as he totted up enough points to secure himself a respectable 4th Overall. Tom Nicholl took the class by storm taking 3 relatively easy wins. Michael Thompson found himself amongst the front runners, one of them being Pole Setter Samuel McFarland. Spectators witnessed one of the closest finishes of the day during Race 2 as Thompson and McFarland battled race long for second spot, Thompson crossing the line first by the narrowest of margins. Race 2’s result would be echoed in the Overall Results with Thompson ahead of McFarland on points. The show of support to both the Championship and competitors from Photographers was humbling and at one stage it looked as if we had enough on site to introduce a Brand New Class to the Winter Series – one for future consideration perhaps? The IMC are privileged to have had The Ulster Superbike Championship attend Round 1 and look forward to having them continue their support throughout the Championship. 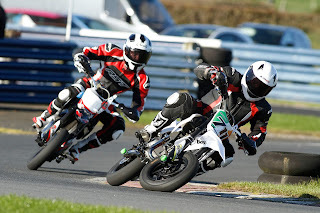 Round 2 of The IMC Snowflake Showdown takes place this weekend, Saturday 3rd November, at Bishopscourt Racing Circuit. Practice begins at 10.00am with racing from approx 12.00pm.